Details from Blac Chyna’s Austin airport arrest have been released and—boy howdy!—is this woman the gift that keeps on giving! According to documents obtained by US Weekly, Blac (real name Angela Renee White) was taken into police custody after she was booted from a British Airways flight and retreated to an airport bar where she demanded to be served. 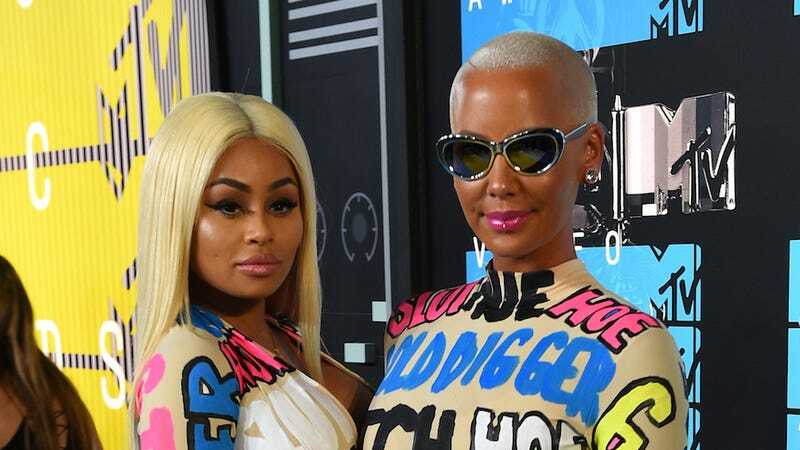 In addition to arrested Blac Chyna for drunk and disorderly conduct, police also found two tablets of ecstasy in her purse and charged her with third degree felony possession. Her bail was set at $8,000, which her prince Rob Kardashian immediately posted. Banks, 24, kept snapping photos with her phone in the courtroom and was chastised by a court officer.